Everyone wants big muscular arms, right? Your arms are a very visible part of your body, and usually the first place someone will look to check out how strong and muscular you are. More than likely you’ve had someone ask “show me your muscles?” – They’re not looking for you to strip down and show a rear lat spread or a side chest pose. It’s your biceps they want to see. 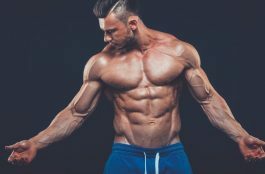 The desire for guys to want big, head turning arms is understandable, but growth can be a real sticking point for some people. So, to help kick your arm growth into first gear, I’ve put together some of the best mass building exercises for your biceps and triceps. A tried but true classic compound exercise, chin-ups are a quick way to building size and strength in your arms. Chin-ups are great for back and arm development, and are fairly straightforward to do. However, to focus more on targeting the bicep muscles, grip the bar with an underhanded grip (meaning your palms are facing toward you) and keep your arms shoulder-width apart. Inhale and pull your body upward until your chin is level with the bar, or as close as you can get to it, and then exhale as you lower your body to the starting position. If your biceps aren’t responding well to the more popular bicep exercises, try adding these seated dumbbell curls on a decline bench into your routine. Seated dumbbell curls are an isolation exercise that targets the biceps, particularly the outside long head of the bicep. Performing dumbbell curls on an inclined bench will give a great stretch of the bicep and a full range of motion, taking advantage of the length-tension relationship. 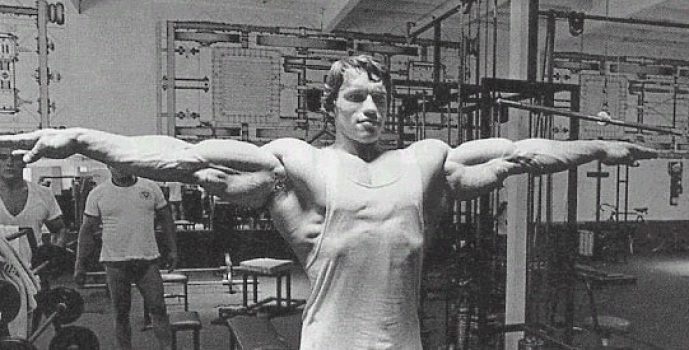 Most people think that big biceps are the key to getting large muscular arms… but this is wrong. It’s in fact the triceps that make up over 60% of the arm. Below are two of my personal favorite triceps exercises for mass. To do a parallel bar dip, grab the handles of a parallel dip bar using a neutral grip (thumbs facing forward) and then hold your body so that it’s suspended between them. Bend your legs slightly behind you, crossing your feet to help keep you stable. Try to hold your body so that it’s as straight as possible. If you lean too far forward the chest muscles will come into play. Breathe in as you lower yourself as far down as comfortably possible, and then exhale as you push yourself back up into the starting position, concentrating on contracting and pushing up with the triceps muscles. Attach a flat triceps bar to a cable machine pulley. Position the bar so that it’s at least chest height. Grip the bar with both hands and push all the way down making sure to concentrate on squeezing the triceps and locking out at the end of the movement. Don’t let you shoulders come into play. This should be a strict movement, keeping your body firm and your upper arms will remain by your sides, parallel to the floor. The only thing that should move during this exercise if your forearms from the starting position down to locked extension at the end of the movement.